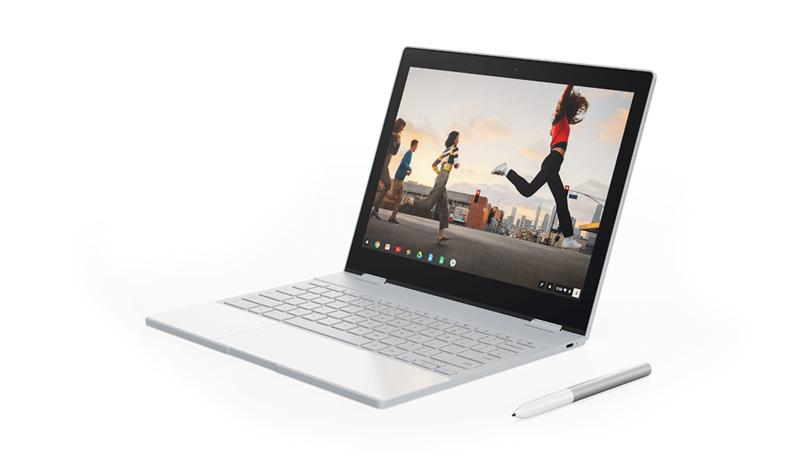 Last year saw Google launch its Pixelbook, a well-crafted device that was running Chrome OS but featured a price tag that would discourage a lot of consumers wanting to get their hands on one. Fast forward to 2018, it looks like thanks to the words of a leakster, or rather a tweet, a brand new Pixelbook is going to be getting unveiled when the new Pixel 3 and Pixel 3 XL are officially announced. According to Evan Blass, Google will be updating its Pixelbook with a brand new model, and it is said to feature slimmer bezels. Unfortunately, this is all the information we have got our hands on for the moment. However, since Google is going to be introducing a better variant down the road, it means that the $999 starting price of the first-generation Pixelbook will be reduced. If Google is not going to be the one to introduce a price cut, then it is certainly online, and offline retailers that will want to get rid of the stock as soon as possible to make way for the newer model and that can only be encouraged through a price reduction. The hardware specifications of the new Pixelbook could include Intel’s 8th-generation Core i5 and Core i7 processors belonging to the ‘U’ series. The chip giant has raised the bar when it comes to the overall performance and the number of cores that ultrabooks and ‘thin and light’ machines can feature, so it is more than possible that we get to see this in the upcoming Pixelbook. According to what we have seen and read, the Pixelbook is still the best Chrome OS device in the market right now. It features a stellar build, a comfortable keyboard to type on but the screen is permanently stuck to that keyboard. If possible, the new Pixelbook could allow the user to magnetically snap the display part of the machine to the keyboard accessory, much like what Google allowed the user to do with the Pixel C.
This is similar to how the Surface Book 2 functions, but with the new Pixelbook being smaller, it will be easier to carry around. We’ll be bringing in more information here as we come across it, but we’d like to know your thoughts on what to expect from the upcoming device? Let us know down in the comments.